In case you have not heard, Maine Fare – the celebration of Maine foods and the people who produce them – is happening! September 11,12,13 in Camden, at the Knox Mill. There are booth spaces still available at the Marketplace both Saturday and Sunday – reserve today before it’s too late! 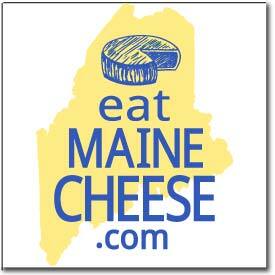 We are pleased to announce the Maine Fare web site is up and running! Please refer to this site for general information and ticketing. Keynote Panel: “Can Maine Feed Itself?” moderated by Craig Lapine of Cultivating Community. Learn from Maine culinary historians, todays visionaries and tomorrow’s leaders. Informed perspectives on critical issues affecting our food, our health and our well-being. All day Saturday and Sunday, downtown Camden. Where growers, farmers, craftsmen, cooks and others offer samples, sell product, interact with customers who are truly engaged and passionate about local foods. Maine Fare will provide table space indoors. You are welcome to bring your own pop-up style tent for outside spaces. Rates are set accordingly. Under the guidance of Maine food experts, taste local smoked seafood paired with handcrafted maine spirits, varieties of maine oysters paired with local beers and artisanal cheeses paired with Maine wines. Posted in Guild and tagged Maine festival.